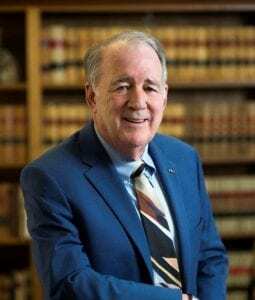 The law firm of DeConcini McDonald Yetwin & Lacy is pleased and proud to announce shareholder John C. Lacy is a recipient of the Mining Foundation of the Southwest’s Medal of Merit. The honor was bestowed at the 35th Annual American Mining Hall of Fame Awards Banquet and Fundraiser held on December 2, 2017. John Lacy’s law practice concentrates on mining and public land law and encompasses transactional and title consideration involving acquisition of mineral rights. His distinguished career includes a crucial role in the revisions to the mining law of the Republic of Bolivia and the English translation of mining laws and regulations of Mexico. He is a long time professor at the University of Arizona Rogers College of Law and the Department of Mining and Geological Engineering. He currently serves as the first Director of the new University of Arizona Global Mining Law Center. The Mining Foundation of the Southwest is a nonprofit organization whose objectives are to educate the public about mineral industries and recognize outstanding accomplishments in and contributions to the fields of mineral and fuel resources. DeConcini McDonald Yetwin & Lacy, P.C., founded in 1968 and one of Southern Arizona’s largest law firms with offices in Tucson and Phoenix, conducts a full service, multidisciplinary practice. Our attorneys possess the knowledge and experience to solve a wide spectrum of complex legal issues for individuals, businesses, and governmental clients.